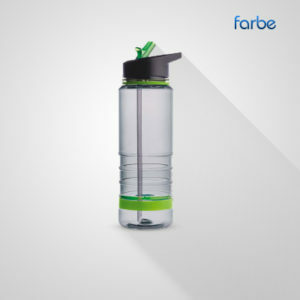 BOPP Vacuum is a 600ML double wall and vacuum bottle with a matt body, contrasting lid and ergonomically designed mouth piece to deliver an optimal drinking experience. Outside and inside in stainless steel with vacuum insulation. Black in between. Business marketing goes on the move with our range of promotional travel mugs. Keep your brand hot with our selection of branded flasks, featuring promotional thermal flasks that can be printed with your logo. 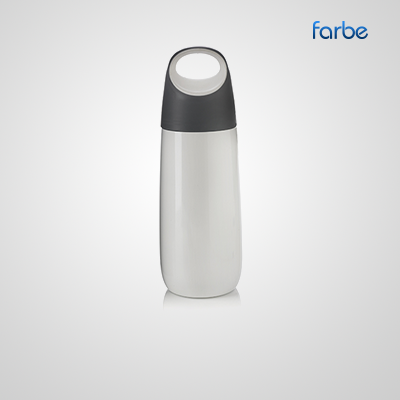 Commuters everywhere needs coffee flasks to get them ready for the day. 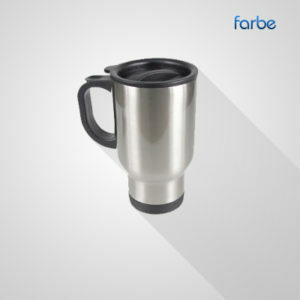 Farbe Middle East supplies a wide range of corporate travel mugs, including branded coffee flasks than can keep your drinks both hot and cold. We have printed travel mugs in a variety of colours, featuring cool chrome, metallic red and glossy black. In addition, we stock branded Thermos flasks and stainless steel flasks that are ideal for corporate camping or hiking trips. 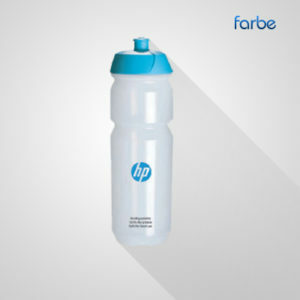 We guarantee the best value on all promotional products, including branded flasks and other printed thermal drinkware, so you can market your business for the lowest price.